In the Thai idiom and psychology, face is the most important thing. We can lose our fortune, but we can’t lose our face. Face is not just the body part where we want it to look nice; it is about pride, dignity and social standing. Some people may lose face เสียหน้า /sĭa nâa/, some people may gain face ได้หน้า /dâai nâa/. In Western terms, when someone does a good job, he gets the credit for it. But in Thailand, you gain the face even though you don’t really earn the credit. Thais have a saying, ผักชีโรยหน้า /pàk chii roay nâa/ “sprinkling coriander on the face“. ผักชี /pàk chii/ means coriander , it is a leafy vegetable placed as a topping on a dish to create a special aroma, and it gives a nice beautifully touch to the dish. 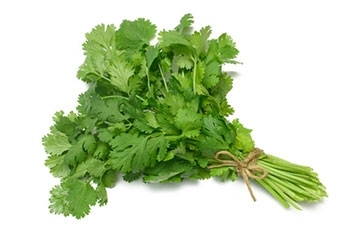 The act of sprinkling coriander on the face means ‘perform a deed only for the sake of appearance’. Mali jut learned that her mother-in-law is coming to visit but the house is not tidy, so she just stuff things in the closet and rush to buy takeaway food so that her mother-in-law understands that she takes care of the house and cooks. A similar saying in English would be ‘window dressing’. Example; When the boss visits the office, everybody tidies up their desks and pretends to work. But I think the boss knows it is just window dressing. Thai people often say it is in Thai culture to do ‘Pak Chii Roay Naa‘, from an individual to the government level. We just can’t help it. As a foreigner living and working in Thailand, I find “face” to be the most difficult to wrap my head around. Some things that cause face loss are obvious, but too often face is lost over the tiniest, meaningless, and often childish things. And unfortunately, too many people turn to violence when face is lost. I don’t think I’ll ever fully understand it. Ops, I meant: What did you ask about? Please forgive me. 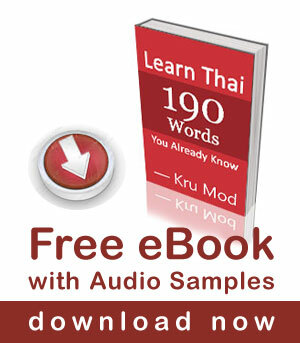 But I suggest we farangs use our alphabet without space as Thai people do in Thai Writing. We would save tons of paper worldwide. 555. Uh, what you asked about?